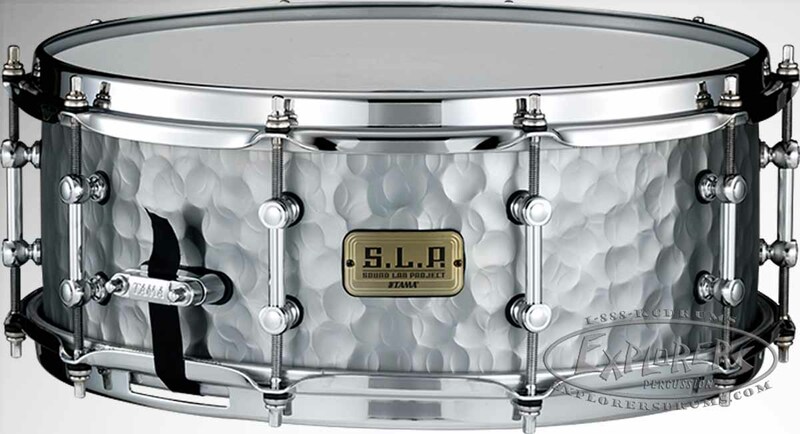 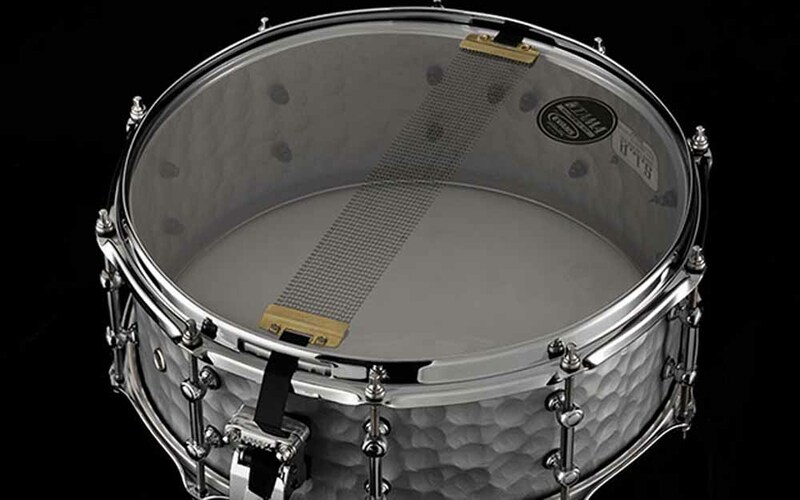 This 5.5" x 14" snare is crafted of 1.2mm hammered steel shell. 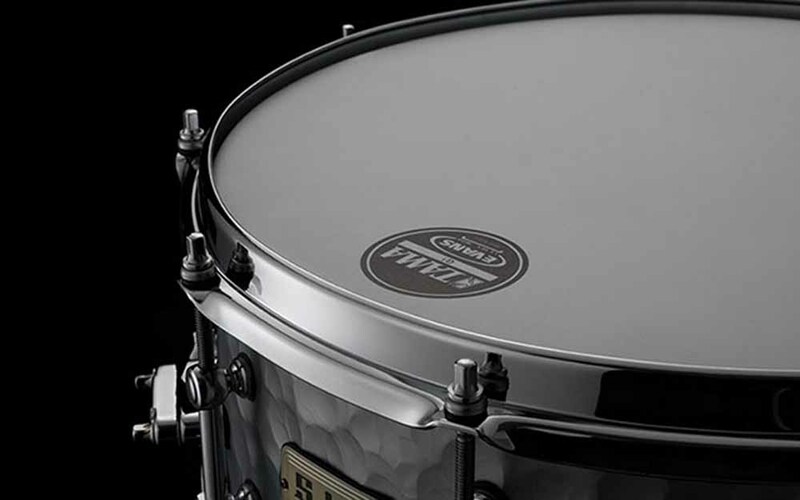 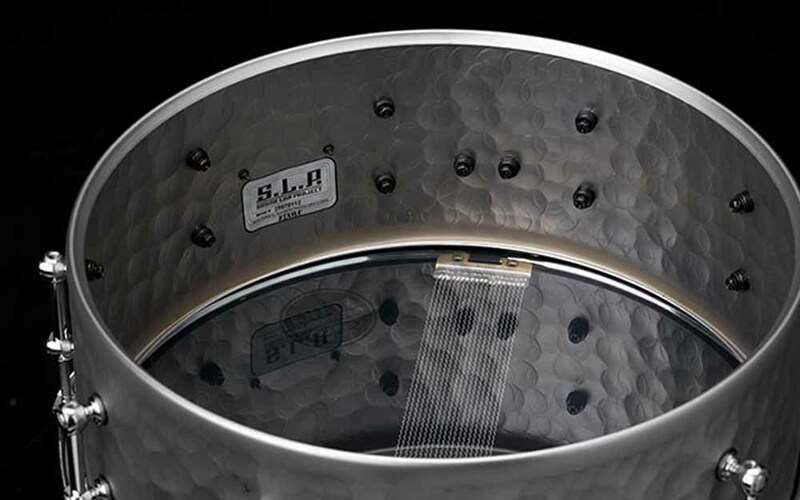 The hammered process adds tonal complexity, depth, and dryness to the sounds typically associated with TAMA's steel shell, which are bright and penetrating. 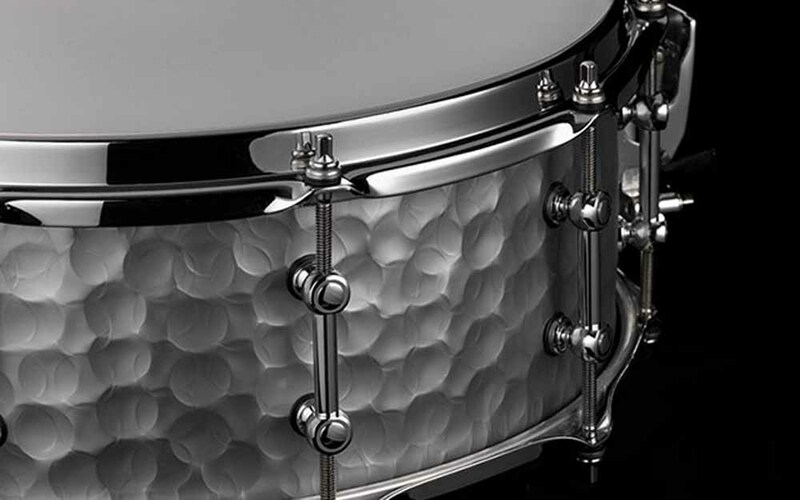 The more complex tones are generated from the way sound waves asymmetrically reflect off the hammered shell texture.